Guryon still wasnt used to the bowing even though he had been a Semi-god for quite some time, because he was a lowly guardian before. He almost bowed back. He instead gave a small nod. "What is this tribe? and where did it come from?" For a moment, Siris only stared in disbelief at Guryon. How could a god, even a semi, not know of this tribe? he then it occurred to the ElderWing that this may be a newer Divine. "We came from the Qealik (Creator). 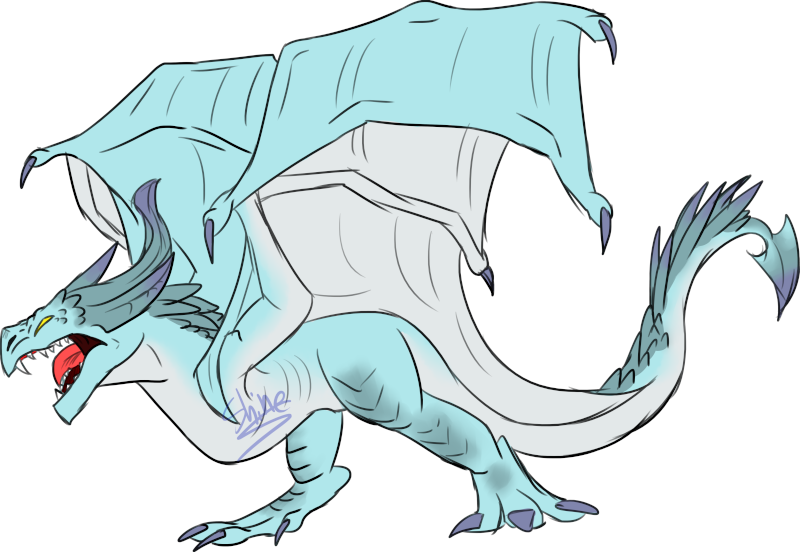 We are the ElderWings, great Guryon, the first and oldest of mortal Dragons. It is from us that the other species evolved, our way of life which gave birth to Tribes." Guryon furrowed his brows at this. He then suddenly noticed the Nightwing. This was a surprise. Siris followed Guryon's gaze when he looked toward the battle ensuing. "The NightWing seeks something he misunderstands. And he would destroy this island and all on it to obtain it. Our few warriors are trying to stop him. I may have to join them soon." Guryon scowled at the dragon. ”If I know what hes after I may be able to help your troops" He peered down and the Siris. Siris looked up at the bigger Dragon. "He seeks some sort of gem that he believes will grant him fantastic power. It is here, but it is not what he is sensing, nor what he believes it to be. What he senses is a Mal Tok. For lack of time, I will explain later what that is. What the gem actually is, is a stone which is rumored to grant its owner great power." Guryon nodded. ”So he must be restrained?" "Yes. We'll leave it to the Qealik to decide his fate." Siris replied with a nod. Baldirak finally made it to the surface again. He saw the darkened sky, the NightWing and the ElderWings who fought him. He was quite close to the lake and saw a couple SeaWings in addition to yet more ElderWings. The great Dragon made his way over to them, the ground rumbling as he limped on. When he was close enough, he lowered his head down to the smaller Dragons' eye levels and inquired, "What goes on here? I sensed trouble." Guryon didnt wait for anyone to tell him. He shot into the air and shoot multiple water arrows at Shizarou.